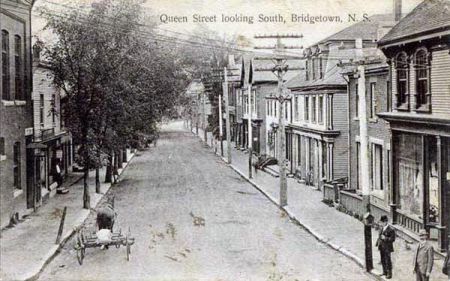 Bridgetown in the Annapolis Valley c. 1910. Lots of businesses in those days.. This op-ed was originally published in the excellent Rural Poverty in Annapolis Valley West. Check it out! The rumbling of the logging trucks stopped as of yesterday morning when the Spring Weight Restrictions went up and the roads have been closed to such heavy trucks. Now I can hear myself think as I bang my head against the wall after reading about things such as the Dalhousie University Shift 2015 Conference which was held earlier this month and which concentrated on rural prosperity. The article is HERE. Now, I wasn't at this conference. First of all, it was held in Halifax. Kind of ironic that a conference about rural problems was held in a large urban setting. However, because it was held in Halifax, I couldn't afford the gas to get there - nor the meals or accommodations that I would have needed. Secondly, I didn't know about it. I read about the conference AFTER it was held in the weekend provincial newspaper. I didn't see any posters up. I didn't see any ads in local newspapers. I didn't see anything on the internet. And thirdly, I wasn't invited. I am not an expert. I am just a rural person, born and raised in a rural area. I don't like to criticize well-intended ideas and I do believe this started out with good intentions. I like the fact that people are discussing the decline of rural areas and what we can do to stop this. What I don't like is the idea they continuously come up with: Rural People Need to Open More Small Businesses! Can you hear my head banging against the wall? The Ivany Report in 2013 pretty much said the same thing. Rural areas need to recognize their individual uniqueness (Yes, we do!) and then open a small business based on that uniqueness. It is as if we went to a food bank and told all the people there that if they are hungry, they should just eat something. Simple solution, right? It is same solution rural communities are being offered by urban thinkers. Simple and superficial and utterly useless. Our governments, in their 'wisdom', shut down and/or relocated any government services that rural areas had. In Annapolis Valley West, it started with Chretien shutting down the Cornwallis military base. A peace keeping centre was there for a couple of years, then that was also shut down and relocated to Quebec. Other rural services, such as schools and hospitals, have been cut back or shut down. Our former hospitals are now health clinics. Our community schools have been slowly, one by one, closed down and the students relocated to bigger schools. Our highways are not well maintained. Our railway was taken away by Brian Mulroney more than 20 years ago. The bus services that were here were cut back to the point of disappearance in the past decade. Jobs left the area like flocks of birds heading south. Only these jobs did not come back. And then our governments look around and say "Well there is no one left in rural areas so we are cutting back on what services are still there." And more jobs are lost and more people move away. The politicians and policy makers who made these decisions are now long gone. They have moved on to patronage positions, lost their jobs in political office, retired, or moved away. We are left to deal with the results of their decisions. We are left to live with, daily, the results of their disastrous decisions. Rural People Need to Open More Small Businesses!!! Hearing that over and over again makes me want to vomit in frustration. Stop being so bloody simplistic with your solutions! The complexity of the situation is what experts seem to miss; especially urban experts who are 'researching the problem' of disappearing rural communities. 1 - Money. It costs money to start up a business, purchase your inventory, advertise your services, buy the tools or equipment you will need, to rent the building space, print your business card, etc etc. I don't have any money to open a business. Do you? 2 - A customer base that has money to spend in your business. Look around you. Do your friends have money to spare? The majority of my friends do not have any extra money. Does your family have any extra money? Do your neighbours have spare money? Nope, nope and nope. So you must attract people from outside the area to your business. Wow! How many people will it take from the Kentville area, the Halifax area, and beyond who are willing to drive to your business to purchase your product or serve? There are only so many Victorian Bed and Breakfasts and country cafes that a small town can open before we are overwhelmed with them. 3 - You must be prepared to be swamped in paperwork from all levels of the government. They all want to know how much you are making, how much you are selling, they will want to know your business name and address 600 times and then they want you to pay them their share of your profits. I know of several small business owners who gave up their businesses because they were spending more time doing paperwork for the governments than they were doing their actual business. Then you must ask yourself, How much money will I actually make? Again, most small business owners end up working for less than an hourly minimum wage while taking the risk of losing their life savings and forking over a substantial amount in taxes that all gets mailed to urban areas such as Halifax or Ottawa. The article in the provincial newspaper about Dalhousie Shift 2015 was absolutely right in the beginning; the participants agreed that our governments and our citizens need to re-think the way we view our rural communities. Decisions about rural communities need to be made by rural people; not by people who work and live in urban areas and who look at things through a very thick urban lens. Loved this opinion! Agreed with this opinion! And then the article went on to the usual mantra.... Rural People Need to Open Small Businesses. 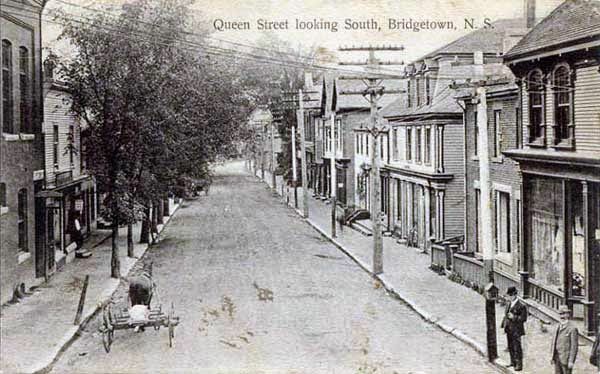 I would absolutely, in no way, think of opening a small business in rural Nova Scotia in any traditional manner. Only if I wanted to throw my life savings away and all my time, drown myself in paperwork and frustration, would I consider opening up a small business in a rural area. The only kind of business I would consider opening would be an online business in which I could do an online service or sell a product online. Except....... our post offices are being shut down and centralized to bigger towns. It's becoming more difficult to access Canada Post. Except...a lot of our villages and hamlets cannot access reliable, affordable or even ANY internet service. Anyone else got any brilliant ideas on how to save rural Nova Scotia?